If you have seasonal allergies, you will feel me when I say that it’s so annoying and uncomfortable to be sneezing all day long. People think it’s gross, you think it’s gross, stuff is coming out… Ew. Excessive sneezing is horrible but there are natural treatments that really help me that aren’t well-known. Perhaps your family member or partner points out that you have excessive sneezing. It feels great on those nice cool days when you don’t sneeze all day due to your allergies. When this was a huge problem for me, I thought that nothing would help me: OTC antihistamines, nasal spray, most natural stuff. But that perspective didn’t do crap for me because I didn’t think deeper about my excessive sneezing problem and I didn’t think about what was causing my allergies in the first place. I also noticed this in myself. Whenever I consume alcohol, sugar-filled foods, and a lot of salt, my seasonal allergies increase in severity and I have excessive sneezing throughout the day. And these types of foods with-a-doubt negatively affect my health. There must have been a direct single cause or a few factors that were affecting the severity of my allergies. And I thought: If I could improve some aspect of my health, I could treat my allergies until they didn’t become and problem and hopefully could go away entirely. It took me a few years, but I actually found out exactly what it was in my health, but it was a few things. I was learning every day and tried to understand how my unique health affected my allergy symptoms and its severity. And after a bit of work, researching and checking journals in my university’s library, I think I have discovered what, in my unique health, directly affects my allergies. Read on with me to learn about how common nutrient deficiencies work with symbiotic organisms to run the aspect of your health that you cannot control. Learning about these things that I have never heard about did wonders for my health. Instead of spending $1-2 per day on allergy relief medication, I saved so much money with these simple natural sneezing treatments. Sneezing is a symptom of allergies, obviously. But it is most likely a reaction to something that irritates your airways. It’s going to be something physical in the air that gets into your mucus membranes and causes your body to secrete allergy chemicals like histamine from your immune system. But if you haven’t realized this yourself, this isn’t what should be happening naturally in your body. Ideally, you want your body’s immune system to respond to the appropriate natural enemies: disease, pollution, irritants. An inflammatory reaction to tiny pollen grains is unnecessary and harms your health. Have chronic allergies is unhealthy because you will have excessive histamine levels in the body, which causes allergy symptoms like excessive sneezing. But is there a way to treat the cause of this unnecessary reaction? I think there definitely is, so let me first discuss the most common root cause of severe allergy reactions like excessive sneezing. Long story short, the fertile soils of today have much less nutrients than they used to. This is simply caused by our unnatural abuse of our fertile soils, that are optimized to produce the largest amounts of crops in the smallest amount of time. Commercial crops like corn, soy and wheat can be produced massively at a very fast rate. When these new plants grow over and over again, obviously they need to absorb nutrients from the soil. So don’t you think that the soil can be completely leeched after a while? The outcome of this is an exponential problem: Each new generation will be increasingly deficient in certain nutrients that are unique to soil, specifically minerals. Perhaps this explains why there is a rise in allergies among newborns lately? It didn’t seem like in the 1930’s people were worried about their child dying due to exposure to small peanut pieces in the air. It is likely that sulfur deficiency is increasingly becoming a problem, especially for our children. Sulfur is necessary for proper function of your immune system, which regulates allergic reactions and also proper digestive function. Over the past few decades, industrial abuse of ours soils has made our non-organic crops nutrient deficient in sulfur that is bioavailable to our body’s cells. Skin problems: itchy skin, flaky skin, eczema, acne, rash, etc. 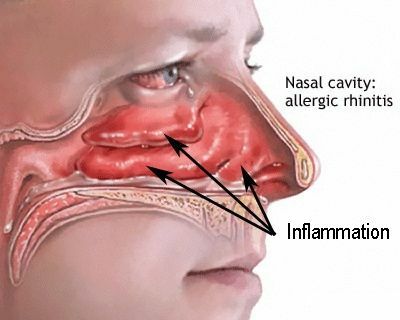 There is a very cheap and simple way to cure sulfur deficiencies that works as a natural sneezing treatment. In fact, we are taking care of a major health problem that could be limiting you from feeling your absolute best throughout the entire day. Since it is difficult to get enough natural sulfur from your diet, supplementation is extremely effective. But don’t worry, it’s not going to be an expensive treatment. You could immediately cure your sulfur deficiency for under $1. You’re going to want organic MSM crystals like these for best absorption and value. Click for a great price that I use! If you supply your body with the direct source of the nutrient it is deficient in, you will feel immediately amazing. I remember the first time I took a small, tasteless dose of MSM and the wonderful natural energy that came to me. After taking it quickly once per day for a few weeks, my skin and hair looks great and my seasonal allergy symptoms disappeared completely! I was definitely deficient in sulfur! In addition, my food intolerances didn’t really affect me anymore. My body was sensitive to raw bananas, shellfish, peanuts and soy, but it didn’t really give me uncomfortable symptoms anymore either. It definitely helped my digestion as well, which could explain that. I would highly recommend you take action if you think that you or your child could have a deficiency to sulfur. Each dose is extremely cheap at around $0.15 and it can do wonders for the body each day. First of all, I want to mention that some types of probiotics that you buy in the store could make your allergies, and sneezing, much worse. It all depends on the specific strains of bacteria that are in the ingredients of the supplement. It depends on your unique health, but some of these strains could excessive histamine levels in your bloodstream. Your digestive system will absorb the histamine into your bloodstream, which is supposed to cause inflammation when there is a pathogen present in your body. If you have taken probiotics in the past and thought that they might have made your health worse in a slight way, this could be why. Therefore, find a high-quality natural probiotic that can actually decrease unnecessary histamine levels in the body and assist in digestion. The most beneficial family of bacteria in this case for you would be Bifidobacterium.After I switched to a probiotic without Lactobacillus I immediately felt better in many aspects of my health. This is an organic probiotic that works for me because Lactobacillus gives me histamine intolerance. My thinking felt clearer, my digestion was much smoother, and I was just feeling like I had so much more energy. Of course, since there is decreased histamine in my body, my excessive sneezing stopped being a problem. Many probiotic supplements don’t work because they are not designed to survive the acidity of stomach acid, so make sure that you are investing in a high quality probiotic with live bacterial cultures that will actually benefit your health. You should definitely feel much better after taking these for a while. If you are dependent on OTC antihistamines and this causes your allergy symptoms to spiral downward, there is a solution to your antihistamine addiction. Simply substitute this harmful and expensive drug habit with a natural food supplement that can do the same effective job without causing a dependency. Organic Quercetin works wonderfully for decreasing histamine in the body, which is exactly what OTC antihistamines like Xyzal and Allegra do. But these medicines can cause very uncomfortable symptoms of drowsiness, headache, addiction, etc. This one is great because it has bromelain, a digestive enzyme that helps with allergies. I save it for emergency allergy days! But when you take quercetin, it’s like you ate onion extract, but it doesn’t make your breathe smell bad or spicy. It works for several hours to clear and open your respiratory system so that more healthy oxygen can reach your brain. This has obvious benefits for your health and wellbeing. The best part is that quercetin supplements are not addictive. On those problem days, where my allergies are annoying and nothing is working, This organic quercetin stops my excessive sneezing entirely and makes me feel great with increased energy throughout the day, focused and awake. Many energy drink companies are starting to add quercetin to their ingredients because it is a natural food that helps your respiratory without harsh side effects. Take advantage of this stuff and have an edge in life when you need it, especially if you have allergies and excessive sneezing. This can make you feel groggy and gross all day. I’d rather feel clear and confident throughout my busy work day, without people having to bless me constantly and ask if I’m sick and contagious. I am always here for you, so if you have a question or something to add about natural sneezing treatment, please leave me a comment in the box below! If you have histamine intolerance, you should avoid lactobacillus. However, most people will benefit from lactobacillus and the functions that they provide inside of you. Some strains actually release histamine as an immune function, which some people’s bodies may exacerbate with issue. Everybody is different.